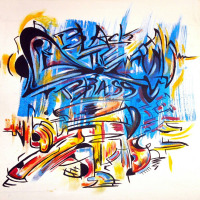 Black Tie Brass is a horn driven jazz funk band. Most of the band has been playing together in one way or another since 2008 and formed BTB is 2013. We released our first self-titled album after a successful Kickstarter campaign in 2014. We combine some of our favorite funk tunes with arranging pop songs in our own way along side our own originals. We want to keep you dancing and singing a song when you walk out. Our second album was released on January 19th, 2019. 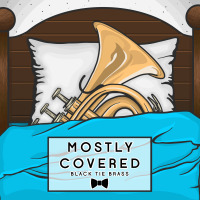 “Mostly Covered” has been a long time coming and you won’t be disappointed with our growth as musicians and as a band! Black Tie Brass has been the backing band for numerous acts from Nick Tangorra to Robbie Rosen to Sal “The Voice” Valentinetti. BTB arranged, produced, and performed on Sal Valentinetti’s “The Voice” EP which hit #1 on the Billboard Jazz, iTunes Jazz, and Amazon Jazz chart and hit #2 on the chart. All About Jazz musician pages are maintained by musicians, publicists and trusted members like you. Interested? Tell us why you would like to improve the Black Tie Brass musician page.